I asked her a few questions about her life & herself. Calvin describes one of his happiest memories, a historic race at the prestigious Trabuco Hills Invitational. 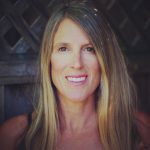 Amanda McLeod talks about life as a preschool parent at Santa Cruz Waldorf School: the magical and inviting campus, warm and nurturing community and how she feels her son’s essence is honored in this environment. Today jarquavious talked about his experience in the military. I interview my sister, a major influence in my life.